Montaje is the home of connections. 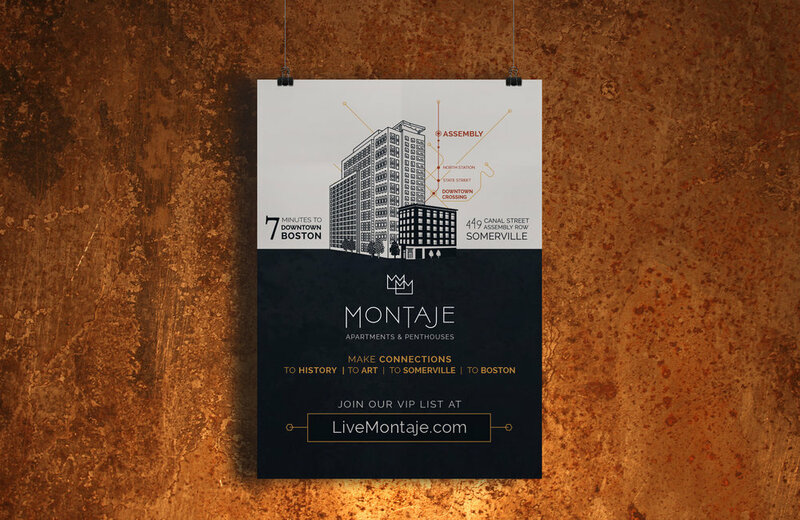 A luxury apartment complex with a 7 minute commute to Boston, Montaje connects its residents to more than just downtown. 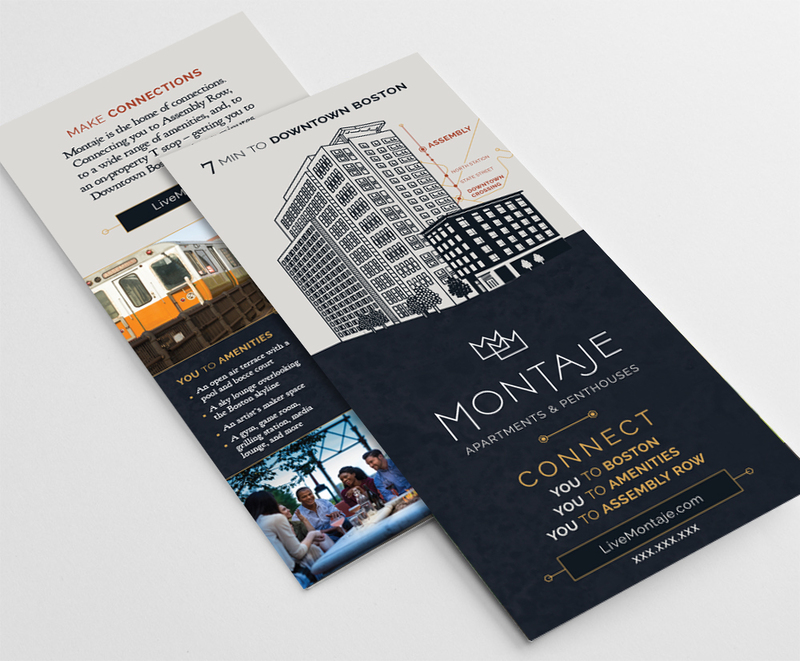 The brand created for Montaje aimed to connect this message with Boston’s high income earners. Although the design foundation had been laid with a logo suite and color direction, much more was needed to expand the brand into a collateral campaign. 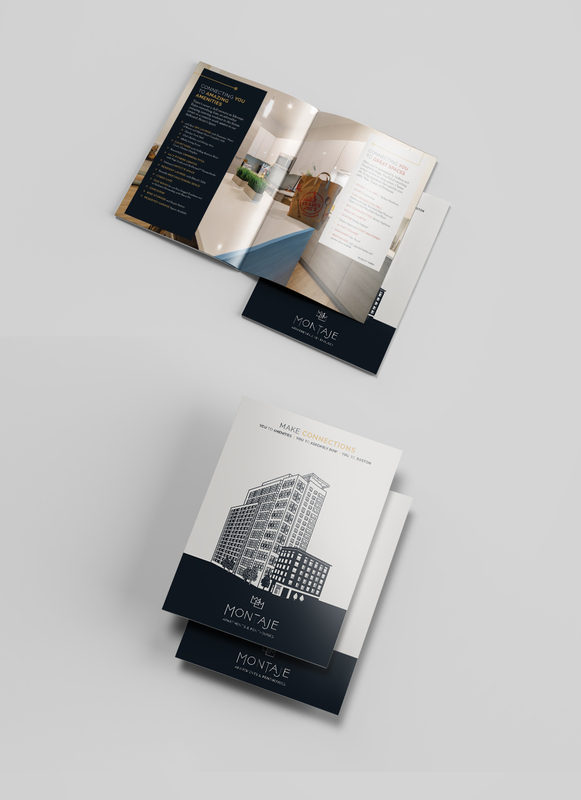 The Montaje brand was heavily informed by the interior design direction, which presented residents with the choice between classic and contemporary design. This duality is expressed not only through the copy, but in design elements and illustration.